May 28, 2008. Last night, 27th May I went through the Video taken during the BBS in the diocese of Pathein last year in June so that the sisters will point to me the priest who was missing and later found his decomposed body. However, I was shocked that in the same diocese three priests (all joined the BBS, the largest number of priests who joined the BBS- 58 participants) died on May 2, the day the cyclone hit the country. The first, Fr. Joseph. The following day and the day after, there was no way to have a funeral or vigil. There were no electricity, no phones to inform people about his death, no buses, few taxis but the fare went sky high. So he was cremated. Then Fr. Andrew who was the parish priest of the area which was badly hit, was missing and after a few days he was presumed dead. Shortly after that Fr. Emmanuel also died. The first and the last were sick for sometime. All three were in their 50’s. On May 6, there was a mass in Pathein Cathedral for the three of them, with the ash of Fr. Joseph, and the coffin of Fr Emmanuel; at that time Fr. Andrew was still missing only a few days later, his decomposed body was found. Imagine, I just learnt about this last night and I felt very sad looking at their faces in the Video during the BBS. I had a very good impression of the priests and sisters participation of the seminar. This diocese could be as strong as Myitkyina in BPM in the future. It is Pathein priests and sisters who have been longing to have a Diocesan Core and so after the BFS and CTFW Courses February – March, to their delight a Core Team was formed. Three members of the Core Team offered to help in the translation and editing of BPM materials into Burmese. Msgr. Maurice, the vicar and parish priest of the Cathedral, Fr. Bosco, an assistant to the Rector of the Minor Seminary and Sr. Slyvia, a member of the General Council of the SFX Sisters. All of them offered their help in spite of their own responsibilities. This week, May 26-30, was our schedule for the proof reading and editing of the BBS Manual in Burmese but we could not do it now since they are all busy taking care of the refugees in the diocese. I would like to suggest masses to be offered for them. You may send your message of sympathy to: johnsane@baganmail.net.mm Bishop of Pathein Diocese, he is in Rome for ad limina and if you like to send a message to Archbishop Charles Bo here is his email address: maungbo@baganmail.net.mm, Archbishop of Yangon. Thank you very much. Aung San Suu Kyi, the woman revered internationally, remained in custody even her term was over the day before yesterday. People loyal to her marched toward her house, 18 people were arrested. This you can read in the newspapers. Refugees in the camps were advised to go back to their villages but they pleaded not to return because they have no shelter, no safe water and food to survive there. Some were brought back by boats and later they left by boat to go to other camps – monasteries. Did not the UN offered to give $ 2 billion to the leaders here for rehabilitation projects? Why let people go back without anything prepared for them to sustain life in their respective villages? Does the UN allow itself to be fooled by them? Oh, there is a lot of prayers to be done – a change of heart in the leadership and the power to bring change witnessed by good people in the leadership. A woman from the City who wanted to offer sacks of rice had to bring them back because she was told there is no need to give them rice, porridge is enough for them. The salted fish, she wrapped some amount into some clothes she distributed to the people. The authorities just want these people die. Today, I met a woman working with the Caritas Internationales Myanmar. She told me that the people from 9 villages with 20,000 households have been sent back to their villages and others to other locations with temporary shelters. They get supplies of food, etc every week for three months. I think, after this, they would have settled in their places. Fr. Doms and Fr. Oscar wrote about the calamity in Pangasinan , Philippines. Thank God we are still alive after that strong typhoon Cosme that directly hit the Province of Pangasinan. Urdaneta City was miraculously spared from heavy destruction unlike the neighboring places that were really flattened to the ground or under water until now. The president of the Philippines just declared our place as calamity area and needs help badly. You must have viewed our situation on the TV or read the reports from the newspapers. Many places look like the pictures of what had happened in Myanmar . Our internet line just came back this morning but still in erratic mode, sometimes it comes and disappears when you need it most. I don’t have any line in my room as the connections were really destroyed beyond repair. The office of the president at least is online now with the same erratic service. The typhoon damaged a lot last Saturday – Sunday. Two provinces in the North were declared in a state of calamity because of the damages. Rice has become expensive and scarce. And the price of gas is going up as well as the transportation. 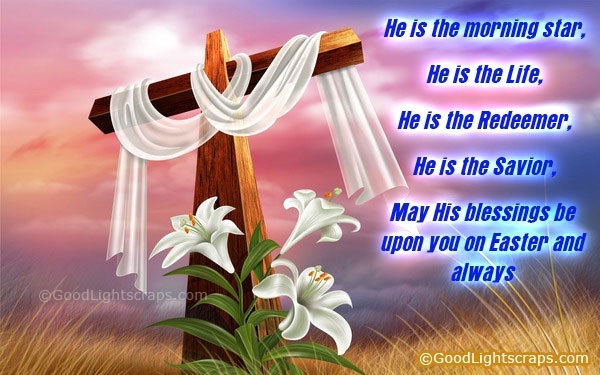 Our prayers for one another keep us going and growing in the Word, God bless you always and keep you healthy. Gracias por esta información tan oportuna, tan realista, tan motivadora… La compartiré entre los miembros de América Latina y El caribe. Y me uno al sufrimiento de este pueblo, pidiendo a Dios que lo ilumine con la luz de su Palabra. Thank you for this information timely, so realistic, so motivating … The sharing among members of Latin America and the Caribbean . And I join the suffering of these people, asking God to enlighten with the light of his Word. In fraternal prayer we are with the Myanmar people and with those who serve the people, like Tammy. Yes, we are in solidarity with the suffering poor in Myanmar . Due to the typhoon, our website https://cbfsea.wordpress.com cannot be updated yet. In Indonesia we have reached a critical point. The sharp rise of prices which has become untolerable, has brought people to the streets to demonstrate. If there is no solution, we fear for the worst. Please let us ask the Lord for mercy. YANGON, Myanmar, MAY 19, 2008 (Zenit.org).- A Myanmar archbishop is appealing for help so that the Church can continue offering aid to the cyclone-devastated nation, even as the ruling military junta is still barring most foreign relief workers. Archbishop Charles Bo of Yangon affirmed that the Church has been at the forefront of aid delivery since Cyclone Nargis struck Myanmar on May 2. The ruling military junta has made an international relief effort practically impossible, claiming for days that it had the operation under control. State radio reports 78,000 people were killed and another 55,000 remain missing following the storm. But aid groups estimate that the re! al number is closer to 128,000, with another 2.5 million left homeless. As these people suffer starvation and the lack of shelter, relief organizations worry epidemics could bring many more deaths. The prelate continued: “We are indebted to the solidarity shown by the universal Church, service organizations and the committed professionals. Thank you. Meanwhile, the network of Caritas Internationalis, which works with and through local Churches, announced today that it is scaling up its emergency response in Myanmar despite ongoing difficulties with access for international aid teams. The international Caritas relief effort is now targeting over 60,000 people through local partners with food, temporary shelter, health care, and other aid items in four of the most seriously impacted areas. “We are reaching 60,000 people in the worst affected areas of Pathein and Yangon, which were badly hit by the storm,” said J.P. Nelson, coordinator of the Caritas Internationalis Emergency Response Support Team for Myanmar . Caritas aid is being distributed through small teams on the ground, who are sourcing food and other supplies locally. More than 400 volunteers have been trained in assessment, logistics, emergency response and accountability. “The amount of aid we are getting through remains significant but is far outweighed by the enormous need that exists particularly in the Irrawaddy Delta region,” he added. “We are still unable to conduct mass distributions and this is raising the growing threat of malnutrition and spreading of disease. We double our prayers as the Plenary Assembly is approaching fast. We all know what is happening in Myanmar after Cyclone Nargis hit the country last May 2nd. The cyclone left more than 60.000 people dead or missing. The UN estimates at least 1.5 million have been severely affected in the military run country, with many still struggling to receive rations of food and clean water. A big setback revolves around the ruling junta’s refusal to open the door to international aid. How are you? I am stranded in Bangkok due to the strong typhoon in Yangon. I am told that Yangon Airport is still closed and I will have to phone again at 2:00 pm. I came to renew my visa, supposed to leave yesterday. I don’t know when I can leave because it is possible that the people in Yangon have no electricity and without that airport will remain closed. Internet connection is very bad here. You know our situation. Please pray for us. I arrived saferly last Tuesday and I am in the north for our meeting with our sisters. We are expecting a strong storm around the weekend towards the north where we are. Please pray for our safety. We cannot be sure if the internet will still be on considering our situation at the moment in Yangon . Dear friends, let us pray for God’s mercy for the people of Myanmar and for our friend Tammy that they may be relieved from their suffering and hard trials. This is to inform you that Fr. Jaimelito “Nilo” Gealan, SVD is the new director of the John Paul I Biblical Center for Northern Luzon . Thank you very much for your prayers, moral support and for journeying with me for the past six years of mission in Northern Luzon Biblical Apostolate through the JPIBC. My new assignment effective May 15 will be as president of the Divine Word College of Urdaneta. Let us continue to journey with each other in our life and mission. Rest assured I will continue to pray for you. Together with the JPIBC staff and the people in Vigan, we thank Fr. Doms for his untiring service for them and for us. We remember and appreciate all that he has done for our SEA sub region during the workshops in Tagaytay and Cagayan de Oro. And now, true to the SVD mission spirit, he has accepted another mission in a new place. Many people are awaiting you there, dear Fr. Doms, that they too may be inspired and their hearts set aflame by your love for the Word. We pray that the Holy Spirit grant you health, strength, joy and peace to serve in the new place with much laughter which is so typically yours. This is not a goodbye, since Fr. Doms is still with us. He will participate in the Plenary Assembly, and now amidst the packing and farewells he is still working on our presentations in Tanzania . Let us pray for him also, especially these days. Truest comfort of our woes! 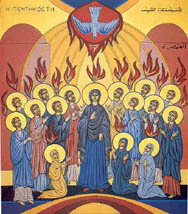 I wish you all a happy and blessed feastday of the Holy Spirit, and in a very special way the SVD’s among us. May we again experience the outpouring of the Spirit upon us, so that all that we do for the spread of the Word may yield an abundant harvest for the Kingdom. As we are drawing closer to the Plenary Assembly (less than 2 months from now) we intensify our preparations and prayers. We thank Alexander for his latest letter with the “last instructions” before taking off. I’m sure the letter which I received last night, has also reached you. We are now busy preparing our SEA presentations for the Plenary Assembly. Please pray for us, and if you still want to contribute something on the activities of your Center for the power point presentation, don’t hesitate to do so.